For the first time in 18 months policymakers have dropped any reference to borrowing costs eventually rising and therefore adopting a neutral position and waiting to see which way the economic winds blow. The benchmark lending rate, which has remained at a near-record low of 1% since September 2010 and which has been locked in by lower-for-longer inflation and weaker-than-forecast growth. 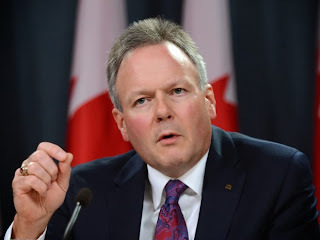 Those policymakers — now under the leadership of Stephen Poloz, who replaced Mark Carney in June — kept their key rate as is, and where it will likely remain until mid- or late 2015.